Whether you run sound for a local concert venue, help with the A/V setups for a museum or library, or manage the sound for public events like civic presentations or movies in the park, all sound professionals can agree on this: there’s a lot of stuff you have to get stored and put away. 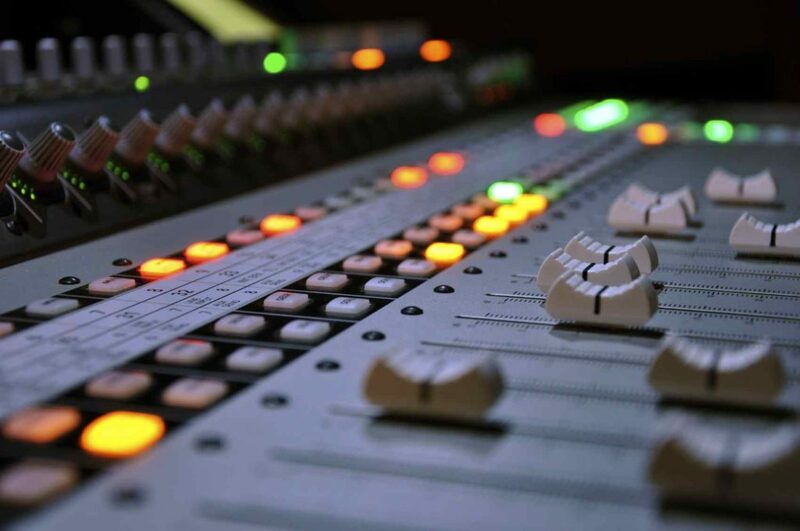 Mixers: One of the biggest and most common pieces of professional sound equipment is the ever-present mixer: for the layperson, it’s the large board covered in knobs with a lot of cables coming out of it that you see sound people tweaking and fussing over during concerts. Hopefully, wherever you need to run sound will provide something for you to keep these on, but in the event of an emergency (or if you need somewhere to keep them long them) then plastic shelves could be the way to go. Solid enough to withstand the weight of even the biggest 48-channel board, and if your plastic shelf has an open top you can use the slots to help with cable management to prevent all your mic inputs and speaker outputs from getting tangled. Rack equipment—power amps, compressors, etc: Depending on the purpose behind your sound gear, you might have to organize your rack-mounted gear as well. This will come up a lot for live sound purposes and/or anything that needs to be recorded, such as musical performances, live theater, or televisual recordings. Wire shelving is a good solution for rack equipment due to the open back allowing plenty of access to cables and wiring, while the metal construction can support the weight of nearly any processing gear you have—particularly for you die-hard analog users that insist on using old tube gear for everything. Computers & switchers: The heart of a lot of sound rigs is a computer of some type, whether it’s a custom desktop you built yourself or just your old reliable MacBook. Obviously some computer desks are going to be the best option for this, but depending on your needs you’ll have a few options to consider. Smaller laptops that need to be taken to different venues or live performances can be kept in a magnetic workstation (or even on a repurposed printer stand to keep things mobile and help organize cables) whereas a computer in a studio or recording booth that won’t need to be moved as much can make do with something more stationary. Microphones, cables, etc: Finally, the small stuff that we all need to take with us (and nobody actually likes taking) could go into portable plastic storage bins—of course, you’ll want to take some time to make sure everything is properly labeled and tied off with rubber bands or cable ties.